This video is part of the appearance, “Paessler Presents at Tech Field Day Extra at VMworld US 2016“. 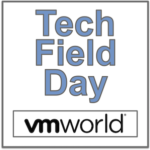 It was recorded as part of Tech Field Day Extra at VMworld US 2016 at 16:00 - 17:00 on August 30, 2016. Benjamin Day, Senior Systems Engineer, demonstrates how Paessler’s PRTG network monitor can properly set thresholds on devices and also covers best practices for creating custom event sensors.